Dimensions: 7' x 1 5/8"
Super easy installation for 6 foot high fence. We used a dumb bell weight with the cap pounder thing to pound into ground since we didn't have a sledgehammer, worked fine. Be sure to check that the sleeves are straigh as you are putting them into the ground - you can adjust the poles a little once they are in and place screws as place holders between the sleeve and pole at the bottom but it doesn't give you much wiggle room. 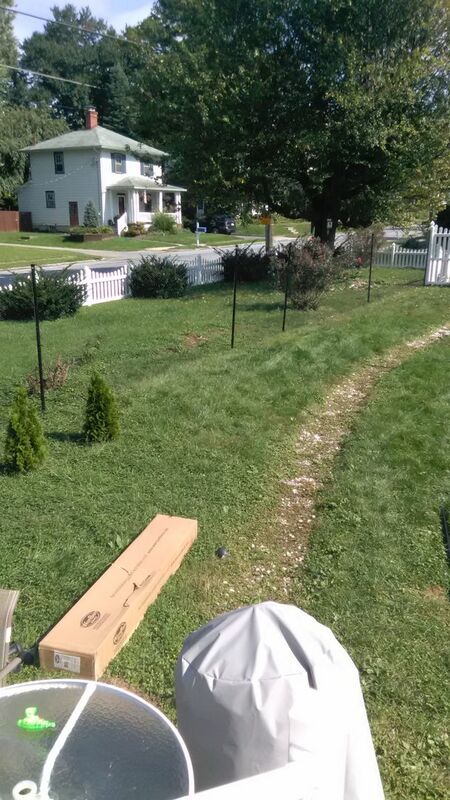 Also we didn't do the fancy ends and our one free standing pole is bending a little under the fence and wire tension. Cheapest and easiest 6 foot fence option I found.